MacGillivray's Warbler and Ruby-throated Hummingbird seen at Raton Comunity (Comarca Gnabe) on January 18. I saw two other MacGillivray's at Volcan Lakes and Hotel Dos Rios on February 10 and 11. 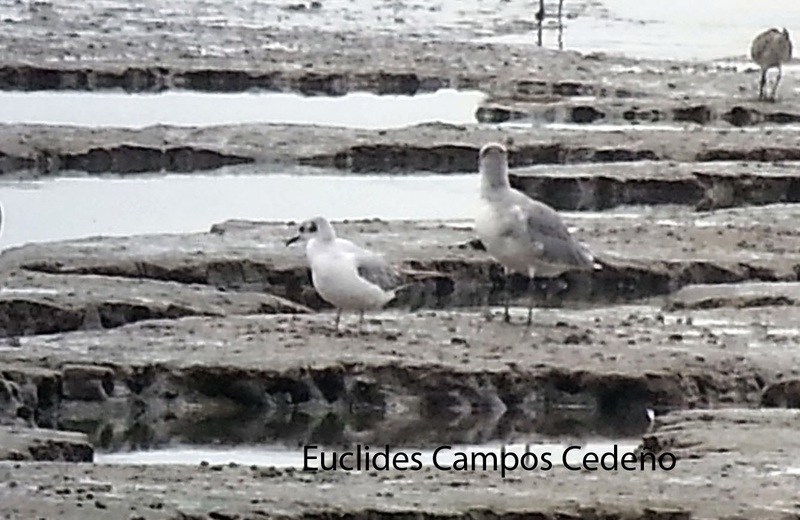 Bonaparte's Gull seen at Panama Viejo on February 10 and April 7 at Panama Viejo Mudflats. A big group of Violet-green Swallows (over 50) were seen at Volcan Lakes on February 10. They were flying really low close to the water, field marks were really evident with its unique rump and face pattern. Some individual were seen through the scopes. 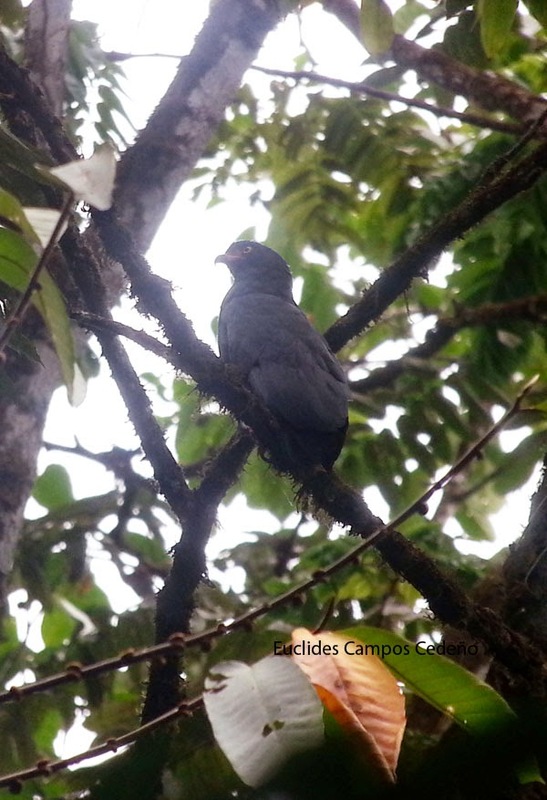 Melodious Blackbirds are around Hotel Dos Rios (Volcán) where two were seen on February 11. Crimson-bellied Woodpecker showed up around the ground of Sierra Llorona Lodge on April 6. 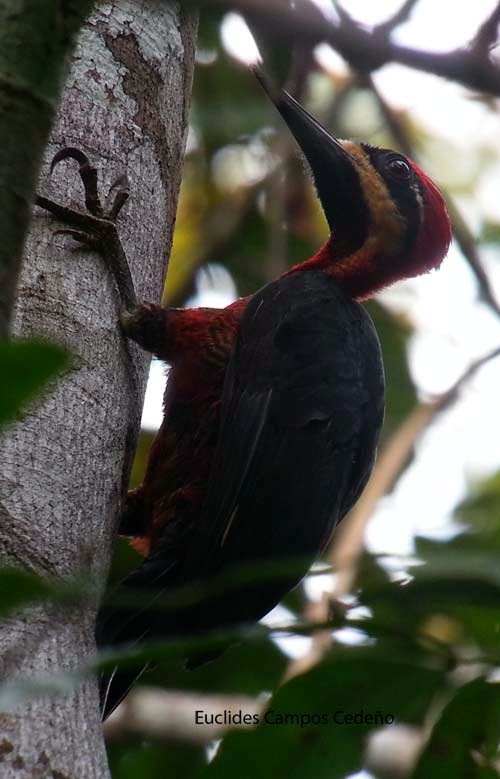 I think this is the second report of this rare woodpecker close to The Panama Canal, the first report is from Pipeline Road. Next day was even better around the hotel grounds at Sierra Llorona, with a Crested Eagle perched on the top of a tree for more than 5 minutes giving us nice views. This is also a very rare resident but even harder to find along the adjacent forest along the Canal. 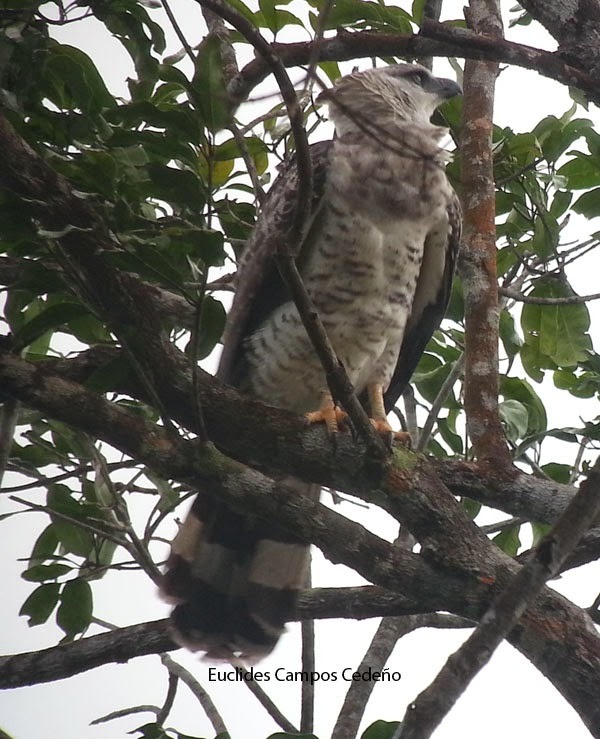 On March 2th I saw a Slender-billed Kite close to Rancho Frío, I took a video, not good enough but on April 12 I got excellent view of this very rare raptor for Panama. 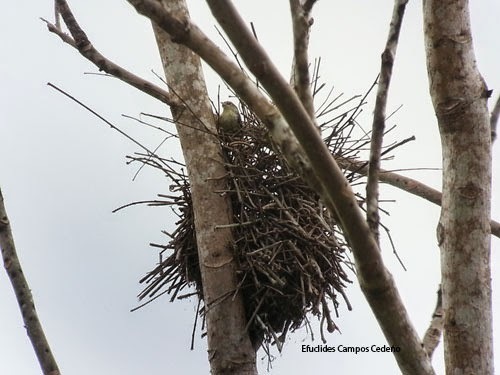 I found this Double-banded Graytail building a nest at Pirre town on April 14.